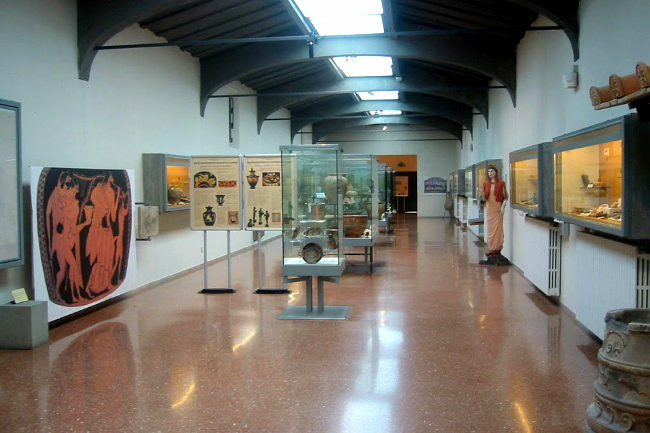 The Museum is located in the former Bishop’s Palace and the adjacent building in the charming village of Murlo. Here are preserved numerous archaeological finds from the territory including, in addition to the necropolis of Poggio Aguzzo kits (7th century BC), the materials found in the Etruscan site of Poggio Civitate, one of the most important discoveries regarding the Peopling of Northern Etruria. Poggio Civitate excavations have brought to light the extraordinary remains of a princely residence, testifying to two different phases (orientalising and archaic), dating back to the 7th-6th centuries BC.